iHeartPrettyPolish: Essie Room with a View - ABC Challenge "R" & "S"
Essie Room with a View - ABC Challenge "R" & "S"
I am using 2 of my letters for the Alphabet Challenge today. 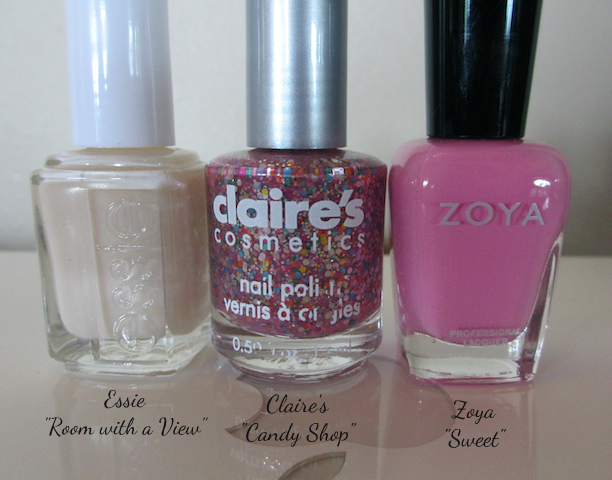 "R" for Essie Room with a View and "S" for Zoya Sweet. My plan was to use Room with a View to make a jelly sandwich, however, it didn't really work out the way I planned. Room with a View is a very sheer nail polish (I actually didn't like it for the longest time) but it's not quite a "jelly finish". It actually gave the glitters more of a soft focus look. I really do like it with Claire's Candy Shop - it makes it more of a subtle manicure instead of an in-your-face glitter nail. 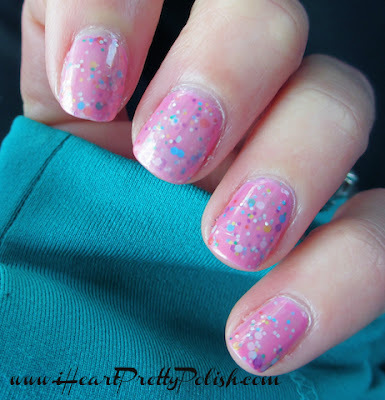 Zoya Sweet makes a great base for Candy Shop! Below is a pic from my previous Candy Shop post so you can see the difference that Room with a View makes when it's on top. You got DTMT!!! :D I can't wait to see! I do like the softer, more subtle look of this. So pretty! I need to try jelly sandwiches more. I wasn't too fond of jellies til recently. I think this looks great!! You will be fine with the jelly sandwich! Can't wait to see! 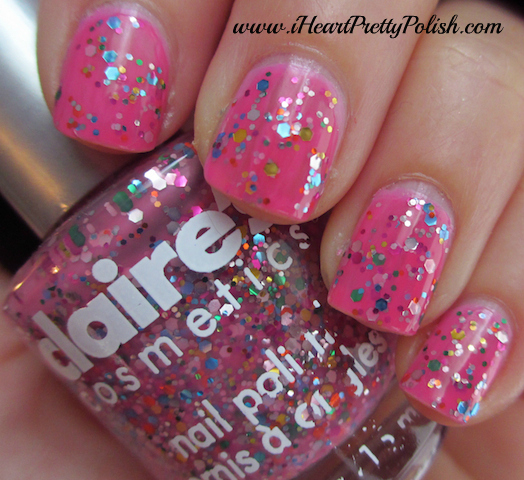 The Claire's lacquer is so cute! I can't wait to see your first jelly sandwich! LOL, I need to post that at least once a month so you can get that song in my head. How about you do the jelly and I learn from you??? I totally see the difference and I like the one with Room with a View. Its lighter and softer looking... very in right now. I LOVE the layer combo!! Very cute! I need to buy Candy Shop one of these days! I'm still learning the art of the jelly sandwich myself- and I agree that Candy Shop actually looks much better muted like this. We can learn together, right?